Since first publishing this recipe a little over a year ago, it has received over a half a million views, hundreds of comments, and people have written to me from all over the world telling me that it is now their favorite dish. And the best part is it is super simple to make! 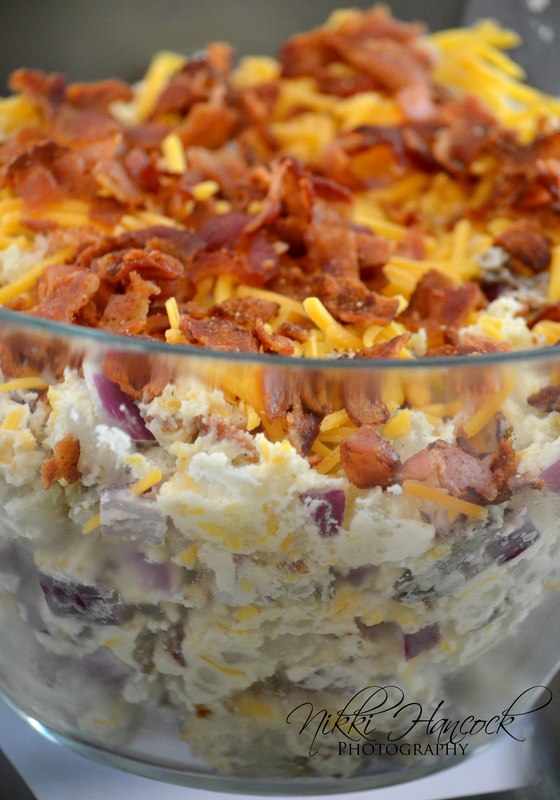 I originally came up with this recipe when looking for a new side dish for BBQs. I am not a big fan of mayo and wanted something a little less “wet” and non-traditional. It has been a wild success and I’m not allowed to host any BBQ now without making this and doubling the recipe! 1. Wash the potatoes and poke holes in them with a fork. Bake at 350 degrees for about an hour or until fork tender. 2. Cool and cut the potatoes into bite sized chunks. I put them in a separate bowl and once they cooled enough I put them in the fridge to cool all the way. This gives them an excellent texture and prevents the dairy ingredients from getting hot or the cheese from melting. 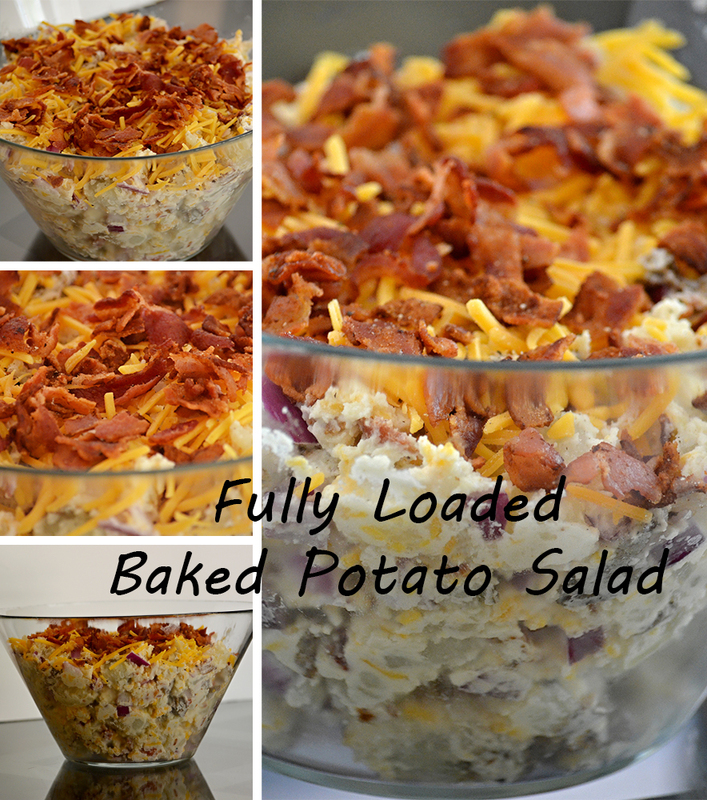 If you are serving this salad hot then you don’t need to cool the potatoes, just skip that step! 3. Mix the mayo and sour cream together in a bowl. Add to the potatoes, then add the onions, chives, and cheese. Salt and pepper to taste – I use a pepper grinder and a sea salt grinder for EVERYTHING so I never know exactly how much of either I put in. I think the taste is far superior to just using regular table salt and pepper. This is a simple and inexpensive side dish for any meal but especially great to take to a barbecue. My favorite part is that this is one of the regular ole recipes that anyone would make without realizing that it happens to be gluten free naturally. Those are my favorite! No special ingredients or expensive grocery stores, just regular food that I can eat along with everybody else. And it’s delish!